The Florin Leaf was designed by Frederick William Kolde circa 1913, in the Edwardian Era. 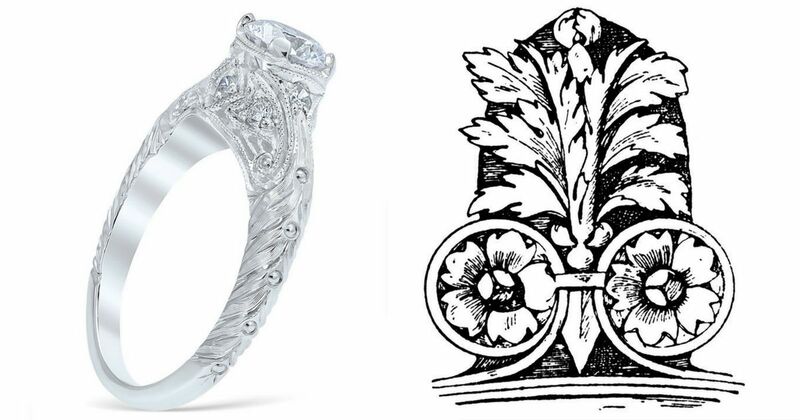 The “Florin” name stems from the design’s resemblance to the scrolls found in Renaissance era architecture in Florence, Italy, and for the quatrefoil design. 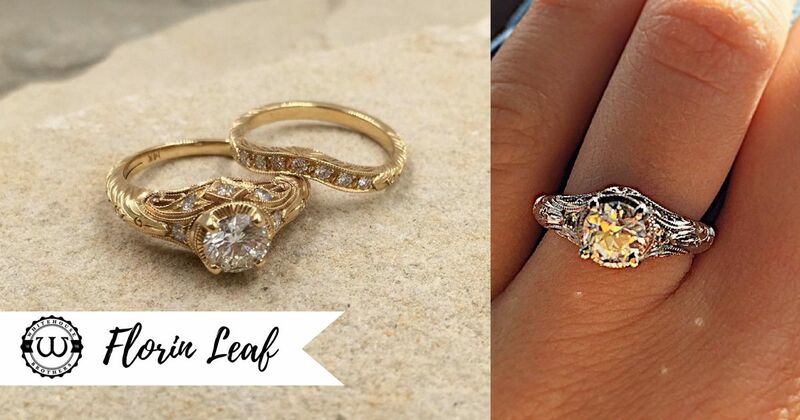 Our Florin Leaf engagement ring features delicate scrolled filigree open-work and hand-engraved floral detailing. It’s accented with bead-set diamonds and a milgrain edge. The geometric filigree in the center is modeled after quatrefoil designs from cathedrals in Florence, as you can see in the photo below. Look under the center stone to see the quatrefoil design. 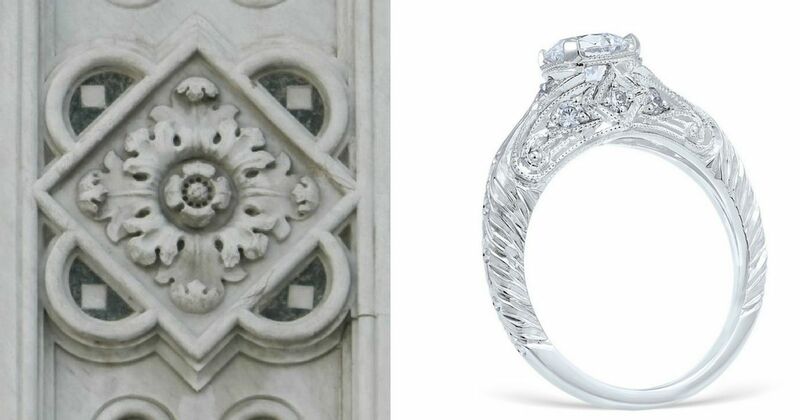 The engraving down the sides of the ring is reminiscent of Renaissance floral designs found on the capitals of columns, which you can see in this photo. The total carat weight (without the center stone) is 0.24 ctw. The Florin leaf is available in all finger sizes. Locate an authorized retailer today to see this beautiful ring for yourself.